Does it seem like it is always damp in your New Orleans area home? Many homeowners are reporting problems with excessive moisture and condensation in attic spaces. These problems are worse during seasons when heating and air conditioning units, which naturally draw moisture out of the air, are not being used. These problems are not related to the roofing but, just the same, are resulting in the rot and decay of structural lumber. The root cause of this problem is that, with energy efficiency measures we homeowners have taken to make dwellings “tighter,” we have sealed them off so that moisture cannot escape from them. Oftentimes, these problems seem to occur after an older home has been remodeled with new doors, windows, and siding. 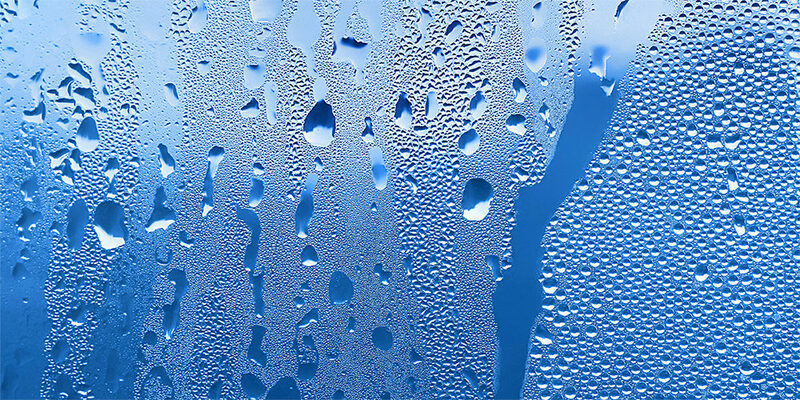 The excessive moisture that is generated in a home from cooking, washing, showers, and even house plants cannot escape the structure and will condense on any cool surface it reaches. These cool surfaces are usually window glass and the underside of the roof decking. This problem is from moisture which is generated inside the home. Because it often manifests itself with condensation in the attic, property owners automatically assume it is a roof-related issue. Pro-active roofing contractors learn how to recognize when these problems might occur and prevent them by ensuring their jobs have adequate ventilation. Ensuring that all areas beneath the roof deck have proper ventilation will prevent call-backs for the roofing contractor. This is easily done with conventional attic spaces but becomes more complex with cathedral ceilings and structural insulated panels. While steps can be taken to limit moisture inside the structure and to prevent its transfer into space beneath the roof deck, those are not adequate solutions to this complex problem. The only solution is the creation of positive ventilation and airflow to maintain temperature consistency between the vented area and the outside. This allows any excess moisture to escape rather than condense. Learn more about proper attic ventilation and how it helps prevent moisture build-up in your home, here.